Who Are The Modern Greeks? The modern Greeks are the descendants of one of the most ancient cultures that laid the foundation of Western civilization. They call themselves Hellenes, despite the fact that Hellenic culture ceased to exist with the advent of Christianity in ancient Byzantium. Since then, in the ancient land of Hellas, everything was undividedly subordinated to Orthodoxy. Orthodoxy has influenced the culture, art and way of life. Greeks are religious, the majority of the population of Greece are zealous Orthodox, though, at the same time, the Greek coast is having the biggest number of nudist beaches in the world, and the island of Mykonos is often called ‘the Greek Ibiza’. You will easily reach this place with the help of car rental at Athens Airport. Such trait of character as the tolerance for the people’s forwardness is left in the inhabitants of Hellas from their ancestors. This is also thanks to the democratic nature of Greek society. Greece is one of the recognized centers of not only the Orthodoxy, but also of the monastic life in general. On the territory of the country, there are about 800 monasteries, among which are such cultic places as Meteora or Athos. However, in practice, the local monasteries are inhabited rather poorly. Even on Mount Athos, there are hardly more, than 150 worshipers, who live there permanently, and many of the monks are not Greeks by birth. Many churches and chapels of the country are closed almost all year round, opening their doors only on the day of the saint, to whom they are dedicated, or at the request of tourists – the key is usually kept by the caretaker, who is living somewhere nearby. The concept of democracy was born in ancient Greece. The national character is fully revealed during the difficult times. The firm adherence to principles of the Greeks also manifested itself during the rule of the “Black Colonels’ regime”. The Greeks are quite conservative. They honor culture and traditions, observe all religious holidays and wear national clothes with pleasure. Business etiquette and casual clothing here are European. Businessmen wear traditional dark suits and ties, in the hot season it is appropriate not to wear a jacket and tie. In everyday life, Greeks are not choosy in styles of clothing, in a crowd of tourists it is not always possible to identify the locals. Greeks are hospitable, and their hospitality is not theatrical. If you are invited to a Greek house, be prepared at least to drink coffee (depending on the season, it could be an Ellenikos coffee, black coffee, or Frappe- cold coffee with ice), or to have a full lunch. Especially the Pontic Greeks like to lay tables for guests. Greeks drink coffee always and everywhere, even the bus drivers sip chilled “Frappe” from thermos bottles. Older people like to gather in coffee shops. Unlike taverns, they do not eat there, but only drink coffee, tea, national aniseed vodka Uzo and Retsina white wine. Uzo is drunk diluted, turning the color of a drink into cloudy white. Pensioners often spend the whole day in the cafe. Here they communicate, play cards and drink tea in a friendly company. Only in Greece, exist the concept of “our tavern” and “our coffee house”. Concerning the pastime, the Greeks are very conservative as well. The locals are going to the same tavern during the decades, which is, as a rule, located near the house. Often, the father and the grandfather of the current regulars went to the same tavern, and the father and the grandfather of the current owner served them there. The life style of modern Greece is in many ways similar to other countries of Southern Europe and the Mediterranean. A long lunch break, during which business life freezes, resembling a Spanish siesta, and continues to the late evening only after the recession of the day’s heat. The slowness of local business, due to the hot climate, is seen even in banks, airports and government offices. It is acceptable to bargain, while making purchases, but, do not forget that market traders could spend a lot of time bargaining. The owners of small shops are less compliant. Here, the trade is not only business, but also a kind of self-expression. Those who know how to bargain correctly and persistently are respected, those who agree to the price immediately are considered simpletons. Greeks like to rest and they are good at it. During the year, 12 national holidays are celebrated in Greece. In addition, various cultural events take place in each region. 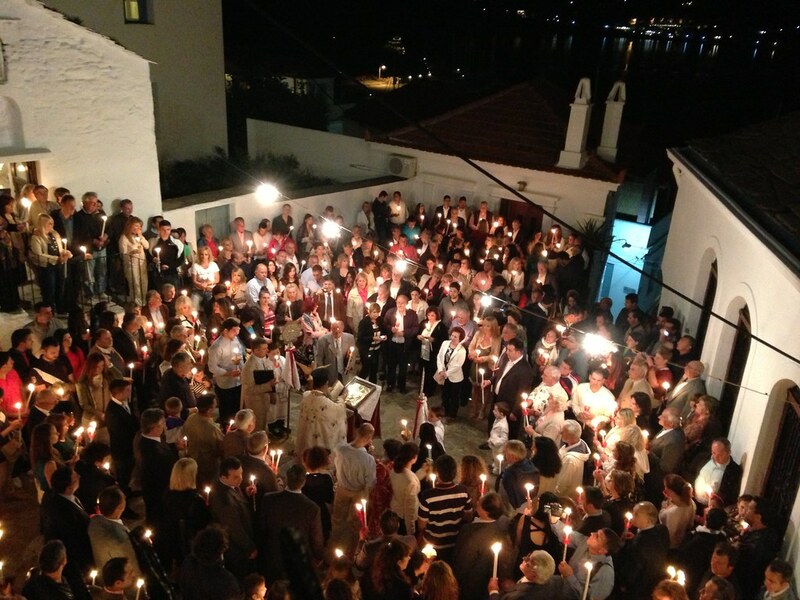 Easter is grandly celebrated in Greece. The solemn processions and folk festivals are held. Good Friday begins with colorful processions, which are moving to the central areas of all cities and towns. On Independence Day and on Annunciation Day, traditional military parades are held, not only in Athens, but also in other cities of the country. The day of St. George is dedicated to the knight who killed the dragon and it is celebrated throughout the country. May 1 in Greece is not only the Labor Day, but also a day of flowers. Every year in July, the ‘Rockwave’ rock festival takes place in Athens. Rock bands from all over the world are performing on the street and in concert halls. In addition, in summer, the International Sailing Regatta and the Wine Festival (in July and August) are held in Greece. In August also begins the Lunar Festival, which is worth seeing, as the dancing in the moonlight delights everyone without exception! Young people in Greece listen to rock and pop, but they remain faithful to traditions. In taverns, where many young people gather on weekends, you will hear live folk music. There people are drinking wine, eating and dancing. However, you will not see drunk people on the streets even on holidays, as the culture of alcohol drinking is traditionally high.